Rare opportunity for an extremely high income producing bldg w/ non-conf 5th unit in LL. Income $106k w/ $120k+ potential in 2019! Negotiable for seller to manage 6+ mths after closing to help buyer. Renovated units feature HW floors, built-in buffets, tiled bths, exposed brick, KTs w/ granite & stainless. New windows '14, roof '13 & 2 water heaters '14. 4 garage stalls + 1 sep storage space. 2 garages have 9 foot doors w/ gar openers! LL has 2 coin-op washer/dryer sets & 7 storage lockers. I was searching for a Property and found this listing (MLS #5022378). 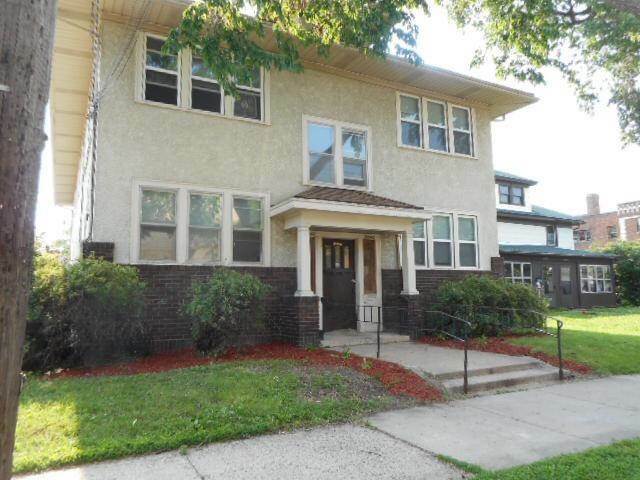 I would like to schedule a showing for 2844 Columbus Avenue Minneapolis, MN 55407. Thank you! I was searching for a Property and found this listing (MLS #5022378). Please send me more information regarding 2844 Columbus Avenue Minneapolis, MN 55407. Thank you! MLS # 5022378: This property at 2844 Columbus Avenue, Minneapolis, MN 55407 is located in the Phillips West subdivision and is listed for $674,000. MLS # 5022378 has been on the market for 76 days.